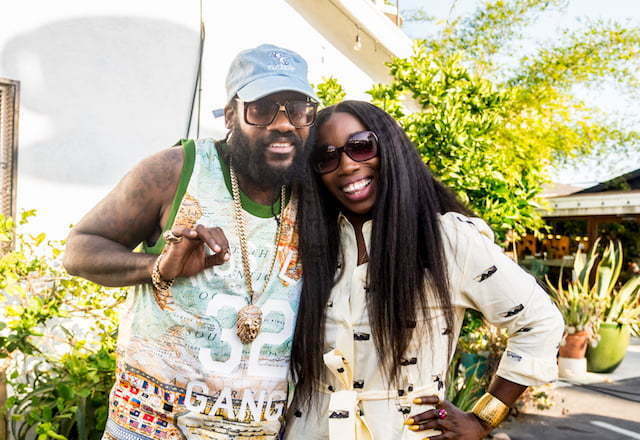 Estelle and Tarrus Riley serve up a feel-good video for their groovy new single “Love Like Ours” watch it below. “Love Like Ours” is the first single off Estelle’s upcoming album, due in the spring of next year. The Denzel Williams-directed video features the Grammy-winning singer clad in full white with some rasta themed jewelry while delivering the soulful lyrics in front a lush green natural backdrop. Tarrus Riley stayed true to the all-white theme while delivering his vocals. “She’s smilin’ all because of I, yeah / Yes truly, keeps us smiling, hey / You know you had your times to love up / Its not my fault / They said love is a gamble when you love,” the reggae crooner sings. Estelle is currently working on her next album which will be the follow-up to her 2015 LP True Romance. The British songstress is hitting the studio all while focusing on her acting career with recurring roles on Empire and Issa Rae’s HBO show Insecure.